What’s your favorite sport or activity? Your game will be more enjoyable if you are performing at your peak! 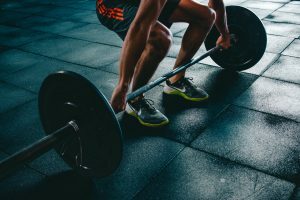 With one to one sport specific strength training, we design customized periodization programs based on each individual athlete’s goals, current ability, age, training experience, and fitness assessment results. Since each person is different, every athlete will benefit from a customized workout protocol that addresses speed, agility, flexibility, power, cardiovascular conditioning, muscle strength and endurance, and neuromuscular coordination to develop to their full potential. You are only as strong as your weakest link! Contact us if you have a small group that you feel would benefit from working with a professional Strength and Conditioning Coach and we will arrange a private program for your team at your location in the southwest Minneapolis area. This is a perfect way for adult recreational teams or small groups of masters athletes training for the same sport to get professional instruction while containing costs. Programs can also be delivered via online training methods for those outside our physical training area. Contact us for more details!